The UK is a nation of coffee lovers. However, our collective caffeine craving has a startling impact on the environment. According to a recent Government report we throw away some 2.5 billion takeaway coffee cups every year. Disposable cups are difficult to recycle because the polythene liner tightly bonded to the cardboard is tricky to remove. Consequently, fewer than 0.25% of cups are recycled. In response, MPs are calling for a 25p extra charge to be placed on disposable coffee cups. Like the five pence charge now attached to plastic carrier bags, it is hoped this so-called ‘Latte Levy’ will encourage both consumers and coffee chains to consider changing behaviour and attitudes around the disposal of takeaway cups. 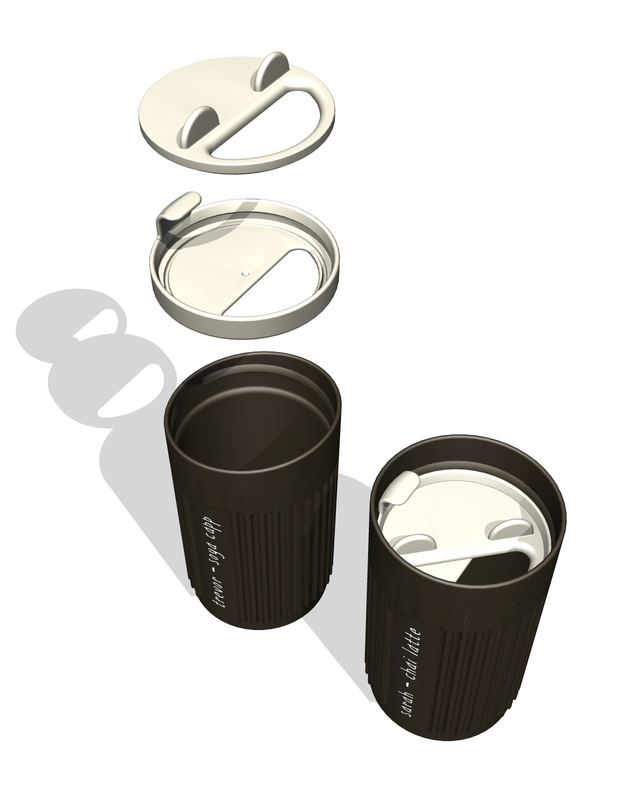 Designers are already one step ahead in looking for greener alternatives to the disposable cup. Two participants in the 2017 Design Council Spark innovation support programme have a potential solution to the coffee cup waste problem. 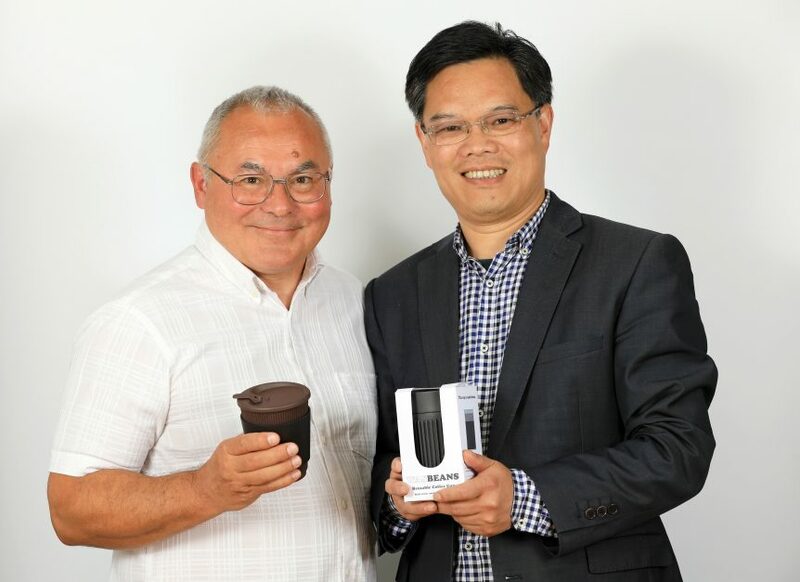 Inventors Garth Roberts and Dr Xiaobin Zhao have created CamCup, a reusable coffee mug that is actually manufactured using another waste product of the coffee industry: spent coffee grounds. The product showcases a fusion of plant and plastic technology that can save the customer money whilst reducing both carbon emissions and plastic waste.